If lying was a profession, then Soma Sengupta would be a lawyer. Oh, wait! A New York lawyer who lied about her work experience and shaved nearly 20 years off her age in an effort to gain admittance to the British bar was found guilty by a judge in Manhattan on Friday of all counts she faced. The lawyer, Soma Sengupta, graduated from Georgetown Law School in 1998 and passed the bar exam in New York State in 2000. She worked as a paralegal for the Manhattan district attorney’s office and as a volunteer for the Legal Aid Society. She never appeared in court or wrote court briefs in either job. But when she applied for admission to the British bar she claimed to have been an accomplished trial lawyer in both positions. She also forged reference letters, transcripts from Georgetown that inflated her academic achievements and a birth certificate. Her scheme began to unravel after a clerk in the British law firm where she had won a competitive training slot was suspicious of a claim on her application that she was 29. She was actually then in her late 40s. The deception led to charges in Manhattan, where Justice Thomas Farber of State Supreme Court, who decided the case without a jury at Ms. Sengupta’s request, noted “the sheer magnitude, intensity and breadth” of her “lies and schemes.” She was convicted of eight felony forgery and false instrument counts and one misdemeanor conspiracy charge. The most serious felony count carries a maximum prison sentence of seven years. Justice Farber scheduled her sentencing for March 22. “For 10 years, this defendant piled lie upon lie until the tower of deception she built finally fell in upon itself,” Cyrus R. Vance Jr., the Manhattan district attorney, said in a statement after the verdict. 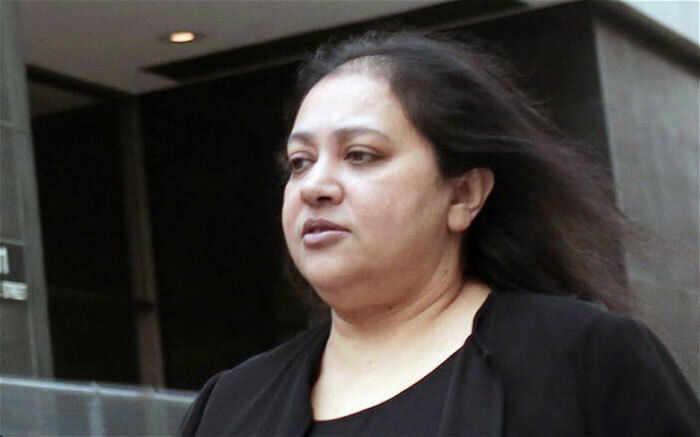 During the trial, Ms. Sengupta’s lawyer, James Kousouros, acknowledged that Ms. Sengupta had forged documents, but he challenged the case on technical legal issues. He said Ms. Sengupta would appeal the verdict. Whoever thought this 49-year-old liar woman was 29 ought to be suffering from a severe case of astigmatism. Now that her legal career is over and after serving time in jail, she should reach out to her fellow countrywoman for some work. Double the trouble.